I liked the look of these side-by-side bridges on Hillside Road near the Canal Visitor Center in Ohio's Cuyahoga Valley National Park. Spotting a framed poster at the center's museum about the bridges' reopening in 2003 sparked my curiosity, and my search for information about them led me to the story of a Cleveland bridge company responsible for building thousands of bridges across the nation during the late 1800s and early 1900s. I learned that King Bridge Company built the truss-style highway bridge in 1923, likely making it one of the last bridges built by the company originally founded by Zenas King in 1858. Zenas King worked on his family's farm in upstate New York before moving to Ohio to work as a carpenter and builder. King seemed to have a gift for sales, becoming a clothing merchant and selling iron farm tools. By 1858, King lived in Cincinnati and worked for Thomas Moseley, a bridge builder credited with inventing the first practical tubular arch bridge made from wrought iron. The then-40-year-old King had no formal engineering or architectural training, but he saw real opportunity in the bridge building industry as the nation's westward expansion demanded a rapidly growing transportation network. King hired trained civil engineers worked to obtain patents, an important step to becoming a successful bridge builder at the time. King moved to Cleveland in 1861, to take advantage of the city's lakeside location and proximity to established transportation routes like the Ohio and Erie Canal. He established an iron works there in 1865. 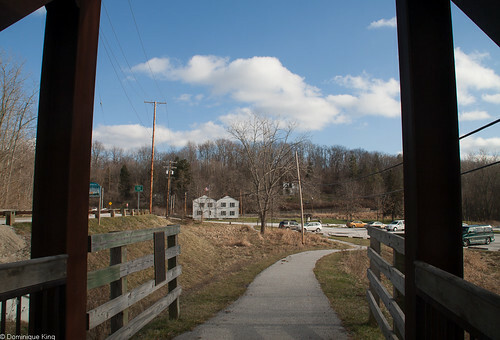 There were only a few iron bridge builders in the mid-1800s, but King envisioned bridge building moving beyond being a local craft to becoming a national industry. In 1871, King organized his company, King Iron Bridge & Manufacturing Company, as a stock corporation with $225,000 in capital raised from many well known Cleveland-area business people. He also recruited a nationwide sales staff and formed partnerships with local businesses like foundries and rolling mills. 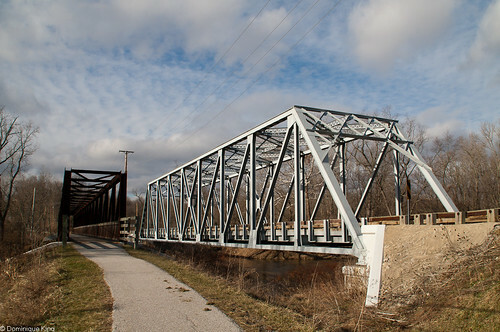 King's bridge company produced iron arch and swing bridges, but by 1878, the company began building all types of bridges as well as manufacturing other products like iron roof trusses, fencing, and jail cells. The company built more than 2,700 bridges by the mid-1870s and produced more than 5,000 bridges throughout the United States by 1882, becoming the largest highway bridge works in the nation during that decade. Zenas King died in 1892, and his son James took over the company. The King Bridge Company built many of its largest bridges and larger steel frames for structures like shopping arcades, grandstands, office buildings, and factories during James' tenure. The King Bridge Company faced difficulties in the twentieth century as more than a dozen big bridge companies faced legal problems related to a cooperative arrangement they made with each other to control and share highway bridge projects. The companies, charged for operating as illegal trusts, lost their cases and many of their government contracts. James struggled with failing health, relinquishing all involvement with the company by 1913. His brother Harry took over the company, which still built several major projects like Cleveland's Detroit-Superior high-level bridge over the Cuyahoga River that connected the east and west sides of that city in 1918. James died in 1922, and the company folded in autumn of 1923. The graves of many members of the family are at Cleveland's Lake View Cemetery near the President Garfield Memorial. Some King Bridge Company bridges are long-gone, like the 1895 swing bridge at Houghton-Hancock in Michigan's Upper Peninsula replaced by a more modern lift bridge in 1959. Other bridges remain, sometimes extensively rehabbed like roadway and pedestrian bridges at Detroit's Belle Isle (which sounds like another photo-taking field trip opportunity to me!). 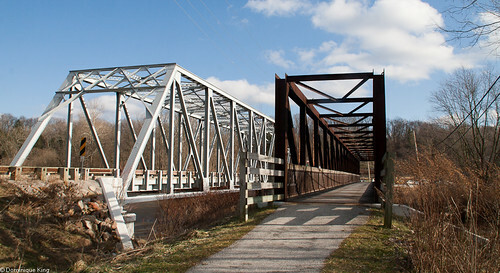 The Hillside Road highway bridge, built the year the King Bridge Company folded, is a riveted, nine-panel, Pratt truss bridge spanning the Cuyahoga River in the national park. The 203-foot-long bridge carried an average daily traffic load of 3,234 vehicles in 2000. Cuyahoga County contracted with National Engineering and Contracting to rehabilitate the bridge and build the pedestrian bridge, completing the project in 2003. Check out Cleveland: 1796-1929 by Thea Gallo Becker for a look at the city when the King Bridge Company flourished there and Zenas King lived along the city's "Millionaire's Row" with other big Cleveland names like John D. Rockefeller. Thanks for another awesome look at Ohio history! From the Cuyahoga Valley National Park to Lake View Cemetery down to the bridges crossing the Ohio River in the southern part of the state, Ohio is filled with some amazing historical sites. I look forward to seeing which part of Ohio you'll discover next! I am assuming you are related to thee King Family of Cleveland? My wife's grandfather was their head butler and chauffeur. He worked for all of the Kings as their chief of staff. One of the King family wrote his obituary for the Plain Dealer in 1951. I have small tidbits of information but am always interested in more.. My wife and he sisters memories are about it for now but their dad who passed a few years ago was also a butler and knew much more...I think there may be some tangible records. Sorry to disappoint you, but I'm not related to the Kings of Cleveland...I'm just a big bridge fan. Although sharing a last name with them certainly sparked my curiosity about the bridges. I'm hoping to get back over to Cleveland one of these days because I want to see, photograph and write about some King bridges there (we're in the Detroit area). I'd love to know more about the King family and their bridges! I write a lot of stories about bridges because they often have such fascinating architecture and history associated with them.